The advent of dazzling online functionality to empower every man, woman and child, has created a groundswell of security issues relating to identity, verification and operational security. The fact of the matter is, it’s now easier than ever before to hoodwink prospective employers or business partners through fabricated digital profiles created online. Corporations are desperate to get a better take on who they are hiring or doing business with, and they’re keen to reduce the resources wasted on dealing with disingenuous individuals which only raises costs, wastes time and incurs unnecessary liabilities. 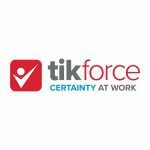 Tikforce (ASX:TKF) has potentially solved this ‘information gap’ by creating a means for companies to run various diagnostic checks on individuals to see their true colours — and with the ability to do it within minutes. TKF’s platform allows users to run in-depth security, identity and background checks on individuals and by seamlessly integrating this functionality into business practises — helping to save companies time and money by automating previously labour-intensive due diligence legwork. Importantly, whilst most companies spend up to 3 hours due diligence per applicant, TKF technology can cut checking time to a matter of minutes. A term has been coined as a frame of reference for TKF’s market plan: “RegTech” — the blending of reg ulatory requirements and security measures with state-of-the-art tech nology. Since we last updated you on TKF, the company has been busy. In its most significant news to date, TKF has launched TikRide , an extension of the TikForce platform, designed for the ride share and taxi industries. This universal platform could end the dispute about driver credentials once and for all and potentially placate some of the concerns the taxi industry has had with regard to its ride sharing rivals. With stories emerging of Uber background checks missing driver criminal records , TKF may be able to gain widespread market share across both the rapidly growing ride share industry, and the incumbent taxi industry too. At the same time, TKF’s success is speculative, thus investors considering this stock should take into account all publicly available information and seek professional financial advice before making an investment decision. TKF’s platform will be backed by Arthur J Gallagher, who will offer a new insurance solution as part of this ride-share validation system. This is not all that TKF has been up to. 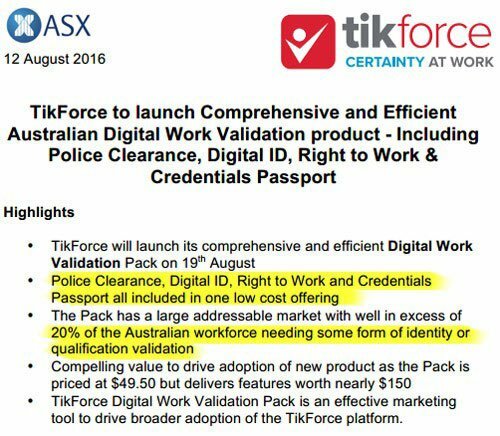 TKF also launched their Digital Work Validation pack which includes Police Clearance, Digital ID, Right to Work and Credentials Passport in one offering priced at $49.50, but which delivers features worth nearly $150. The company has also entered a binding heads of agreement with Mediasphere Holdings Pty Ltd. Mediasphere will use the TKF platform to validate the credentials of users on its learning management systems, undertake police checks and to verify other critical documents. Mediasphere was recently recognised by HR Tech Outlook Magazine as being one of the Top 10 global learning management systems providers, with the global corporate e-Learning market set to be worth US$31BN by 2020. This pending partnership could open up enormous opportunities for TKF as it looks to further embed its comprehensive, low cost security solution into the LMS market. It also gives it immediate recurring revenues on top of enhancing its product range in the $19BN labour hire industry, where the need for credential validation is at its most pressing. Finally, TKF has signed a memorandum of understanding with WorkPac Group Pty Ltd to work together on joint bids, tenders and projects. WorkPac is Australia’s largest independent/private Human Capital provider with more than 750,000 registered individuals on its database and an annual turnover of more than $700M. So, where to here for TKF? Effectively, TKF wants to raise the amount of trust and dependability between businesses by providing the only thing that inspires confidence in any market: information. By sourcing and relaying the correct information at the right time, TKF’s platform is able to verify various aspects of an individual’s profile and raise the confidence level that he/she is an asset rather than a liability. TKF’s market niche has even been dubbed ‘RegTech’ — short for ‘regulatory technology’ and considered an offshoot of FinTech (financial technology). FinTech has captured the imagination of banks, entrepreneurs and investors around the world for its ability to enhance functionality and widen the range of available financial products. 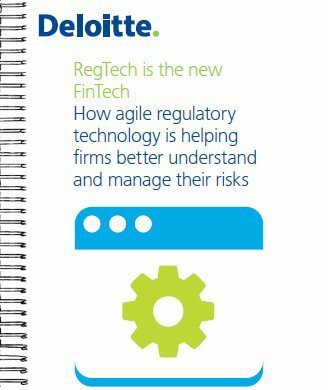 RegTech meanwhile, is a way for companies to comply with various regulations without breaking the bank. Through utilising TKF’s online platform and mobile application, HR professionals are able to remove many of the administrative and repetitive tasks that are a function of selection, onboarding and compliance when hiring new staff, contractors or working with third-party partners. In other words, TKF offers a cloud-based suite of innovative browser and app based tools that work together to reliably verify identities and credentials to foster certainty within companies. Ultimately, it is a way of reducing staff turnover, fraud, inaccuracies and improving the quality of professional recruitment in every industry globally. 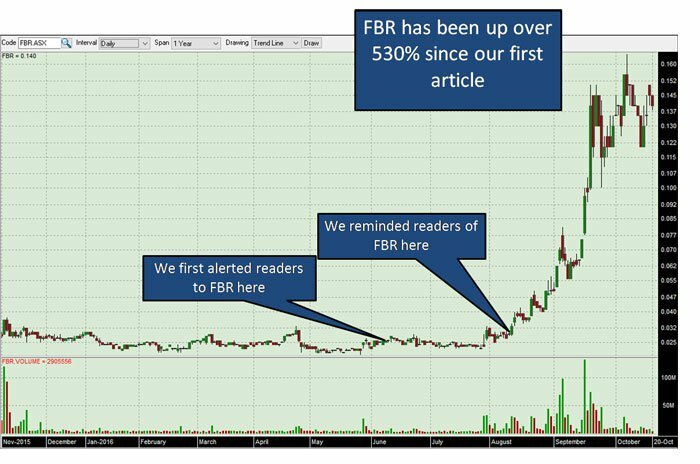 The Next Tech Stock is focused on bringing under the radar, early stage tech stocks to our readers attention like Fastbrick Robotics (ASX: FBR) . Regular readers would have followed Fastbrick Robotics (ASX: FBR) continued ascent. But for now, let’s get back to TKF. TKF has a wide range of products at varying price points in order to suit the needs of large organisations or individuals. There are in-depth end-to-end solutions for large organisations that carry upfront and recurring fees, but there is also a large suite of products that individuals can cherry pick to meet any requirement from ID checks through to training credentials and job experience. And this arsenal now includes TikRide, which we’ll go into more detail shortly. As you can see, TKF has a suite of distinguished products that each offer something different to employers and companies with training requirements. While a minefield for employers, the new cybersecurity landscape couldn’t be better for this emerging RegTech play, which possesses the proprietary technology to assist all parties in the employment chain, including HR enterprises, training organisations, employers and employees. Moreover, RegTech and TKF’s products, are being used to navigate regulatory environments, including police, identity, bankruptcy checks and now transport. We have all heard of Uber, and many of us would know about the concerns regulators have over the veracity of driver credentials. In some instances, the same criticism can be levelled at taxi drivers. So how do passengers really know who is driving the car, or whether they are safe? TKF is looking to solve this problem through TikRide , a new verification platform and extension of TikForce designed exclusively for the passenger trasnport industry. Essentially TikRide allows drivers and ‘wannabe’ drivers to get the right credentials to be ready for any Australian ride-sharing or taxi service. This is crucial because this industry is subject to strict legislative requirements in each state of Australia. Anyone considering becoming a driver, must demonstrate they hold correct and valid licenses, insurances, checks and other credentials. TikRide allows them to do this in one easy to use cost-effective platform. 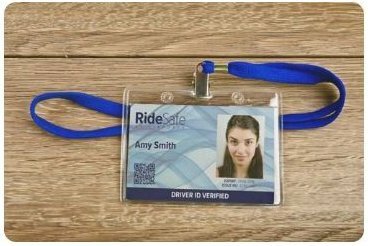 Once drivers have met their compliance obligations, they are issued with a RideSafe ID card, which integrates with the RideSafe app allowing passengers to verrify a driver’s identity. The ID works in tandem with the TikForce platform which automates the validation of driver credentials. When you consider that there is an estimated 20,000 ride-share drivers and 68,000 taxi drivers nationally, it is a significant market to edge into and one that looks only to be getting bigger. When you consider that eMarketer estimated 27 million US adults would use a ride sharing service at least once this year alone, the growth could be exponential. TKF is looking to break into international markets, but even in Australia this could be a lucrative play considering the country’s propensity to follow US trends. TKF also has some serious backing in this ride share arm of its business in the form of insurance giant Arthur J Gallagher (AJG). TKF partner Arthur J Gallagher has designed a best of breed insurance policy specifically for ride share drivers. The world renowned insurer will be able to access TKF’s technology to create comprehensive insurance policies at a competitive premium to those looking to enter the ride sharing or taxi industries. Drivers will be insured for their vehicle, passenger liability and luggage liability. It’s a brave move for an insurance comppany to move so comprehensively into the ride sharing industry with a small emerging company like TKF, but clearly AJG see something it can tap into including the opportunties the new sharing economy are throwing out there. Its partnership with TKF enables AJG to get in on the ground floor with a service for an industry that is crying out for policy, procedure and regulation. AJG could be a first mover in providing insurance products for an industry that was once impractical to do so. Although it should be noted that like the ride share industry in this country, TKF is also still in its early stages and anything could happen with this stock – thus investment caution is advised if considering this stock for your portfolio. TKF is still an early-stage company with revenues trickling in. This however explains why this little tiddler is only worth $8M and why it’s in our crosshairs here at The Next Tech Stock. ... and being integrated with other third-party cross-platform offerings —it may only be matter of time until TKF builds up a steady stream of revenues and rewards early investors. In March, TKF was targeting breakeven and profitability in 6 to 12 months from commercial launch. According to estimates and looking at TKF’s company literature, the business is expected to be fully sustainable within 18 months. ...that give us confidence regarding TKF’s end-of-year revenue numbers. 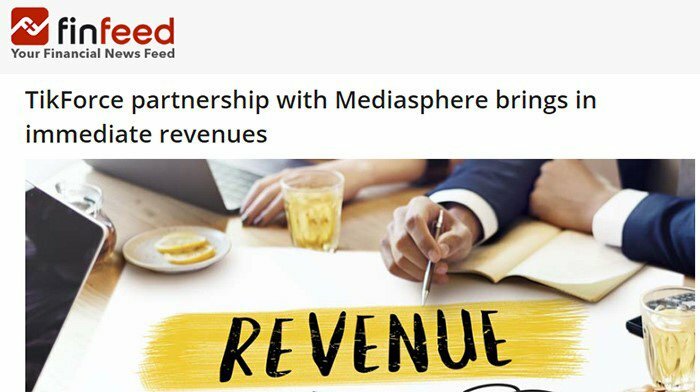 TKF signed a binding heads of agreement with Mediasphere for it to validate the credentials of users on its learning management systems and undertake police checks. Recently Mediasphere was recognised by HR Tech Outlook Magazine as being one of the Top 10 global learning management systems providers, with the global corporate e-Learning market set to be worth US$31BN by 2020. While the deal with Mediasphere is a big one, a MoU with WorkPac Group could put TKF front and centre of the human capital security industry story. The companies are set to work together on joint bids, tenders and projects with TKF’s verification platform to be used by WorkPac as part of its business delevopment operations and integrated into its candidate management process. For each candidate verification, TFK will receive a fee, and considering WorkPac is Australia’s largest independent/private Human Capital provider with more than 750,000 registered individuals on its database and an annual turnover of more than $700 million, a rather large source of revenue could be opened up for TKF, whilst also validating the technology with an industry leader. For instance, in FY2014/15 WorkPac placed over 40,000 applicants successfully into new employment roles. That’s a lot of roles requiring a lot of security services within the mining, construction, engineering, oil and gas and healthcare sectors. So what is attracting partners to TKF? Using traditional methods for conducting searches could take up to 3 hours per applicant, whereas this company’s technology can achieve the same outcome within a matter of minutes. In Australia, TKF is going after a market with plenty of spare capacity as most businesses fail to carry out extensive checks on most new employees, customers or contractors. TKF’s products are therefore growing in popularity and we hope upcoming financial results will bear out this out in black ink. TKF estimates it can achieve around $55 per user, a further $15 per user month and a ~30% average profit margin, as a base from which to build its pricing structure. These are almost redundant sums to any business large or small — which is why TKF is likely to see a strong take-up of its services. Further down the line with the expansion of services and the introduction of additional premium tools, TKF can potentially steepen its pricing structure appropriately. The good news is that TKF could be profitable at less than 30,000 users, which is on track to be achieved in Australia alone, without mentioning its international efforts. The recent Australian Digital Work product launch was aimed at 20% of the Australian workforce, and coming in at such a low comparative price point of $49.50, it is intended to propel TKF’s first sizeable revenues and integrate its all-in-one solution into many business operations in Australia — to start with. The market penetration is then expected to be emulated in other regions, with the obvious largely populated areas such as China and Hong Kong on the hit list. TKF has already negotiated an important agreement with Hong Kong-based Veridate Financial that could potentially provide a springboard for its entry into the broader Asian region including China. In May, TKF signed a Memorandum of Understanding (MoU) with leading Hong Kong Fintech Veridate Financial to join forces to provide a highly automated client onboarding solution aimed at the Hong Kong funds management industry. This is an industry estimated to have HK $18TN (AU$3TN) in regulated funds. Furthermore, the current modus operandi for the folks over in Hong Kong is to wait an average of 28 days for ‘client onboarding’ to complete. Now, call us new-age or old-fashioned at your convenience dear readers, but that’s an awfully long time to wait for things to be left on hold before the green light is given. TKF can shave those 28 days down to hours, if not minutes by synchronising and accessing multiple databases in real-time. TKF’s solution is now being rolled out and is proving a commercially attractive to Hong Kong’s business community. One of the neat things the Tech industry provides, is the seamless ability to connect to other innovative software almost in a heartbeat. TKF has taken the Tech-connectivity mantra to heart and is already co-operating with Learning Management companies, training vendors and trust verification services. Integrating TKF’s validation tools improves both the functionality of other third party tools, and brings in welcome revenue for TKF. Not to mention lots of free publicity and air play. One such example is the symbiotic link-up with Richard Branson-validated Velpic (ASX:VPC) — a company that provides businesses with a full frontal 21st Century solution to managing staff training, scheduling and compliance functions. Regular Next Tech Stock readers would no doubt have been following the VPC story as it evolves on these pages. TKF’s agreement with VPC will see the two companies investigate the integration of technologies to provide employers with workforce identity verification capabilities and automated employee profile generation. TKF is also striking a vibe with MTM Metro to develop a new version of identity validation that streamlines the full onboarding ID process for 750 contractors working on the Metro train network. The type of expansion and business model being masterminded by TKF could open up a raft of sectors and markets as it looks to roll out its platform on a global scale and potentially match its peers in the security identification and RegTech space. If we flick through some of the other ASX RegTech hopefuls, it’s obvious that this market niche has some significant revenue-generative potential. Looking at the fast emergence of small companies in this space, Medibio (ASX:MEB) is a good example. Its propriatary technology effectively distinguishes individuals with major depressive disorders and thereby saves logistical money, time and effort. This stock has managed to double from around $0.20 to $0.40 per share since March. Also in the hunt is freshly listed Xenith IP. This company listed in November 2015 and has also managed to double its value within 12 months. That’s the kind of outperformance we most definitely take note, and with subsequent plans to emulate, here at The Next Tech Stock . Xenith recorded EBITDA margins of 33.6% in 2016, while its larger peer IPH Ltd. (ASX: IPH), also has a horse in this RegTech race. Its steed is posting EBITDA margins of 45.4% in 2016. This supports the view that there are significant scale advantages in the regulatory/security volume-focused businesses that look for widespread market traction with a very low unit entry cost. Companies such as UK’s DueDil — a due diligence and research company, work on such revenue models and have thrived in today’s entrepreneurial, cross-border, intra-national, cryptocurrency veiled commercial environment. There have been numerous ASX listings in the last 12 months, don’t be surprised to see the more boutique RegTech sector take off over the coming months – in fact Deloitte are calling RegTech the new FinTech – and TKF is one of the early moving companies in the space, and therefore, may be able to create a lasting impact for early investors. While it may quickly come to mind that traditional checks and online reference points such as LinkedIn already provide a lot of reference information, job applicants with sinister goals in mind can not only render these checks as irrelevant, but even use them to support a false identity. With cybercrime and identity theft increasing by the day, businesses are looking for solutions to guarantee that those they hire are actually who they say they are. Financial services companies are struggling to keep up with a mountain of new regulatory and reporting requirements — and it’s only getting worse from a regulatory requirements standpoint, as the amount of red-tape being cast down by regulators seems to only grow rather than contract. From the 2008 financial crisis through 2015, the annual volume of regulatory publications, changes, and announcements increased by a staggering 492%. The counter-effect has been a Fintech-spawned solution that’s creating an opportunity for a swathe of new companies called RegTechs to prosper by removing the barriers to honest business proceeding. RegTechs are companies that use technology to help firms decrease their regulatory burden, and TKF wants to do so across several sectors in a seamlessly real-time and cost-effective way. Even as it falls under the wide umbrella of FinTech, the up and coming RegTech market niche is quickly gaining traction as a market sector in its own right. Just in the Australian Labour Hire market alone, TKF is on track to co-market services to 1,000,000+ individuals and in a short space of time, while only needing 30,000 to breakeven. The next stage is to enter the global market outside of Australia which is already in motion with its Chinese/HK operations. There is now a significant opportunity for so-called RegTech providers to bring clarity and efficiency into the way in which regulation is interpreted, how compliance is managed and most of all, how regulatory reporting is being automated. Overall, we think TKF could be a very stable long-term business because of its inherent simplicity, growing market demand for its skillset and its price. Although like any early stage tech company – there is no guarantee it will grow and be successful. Investors should consider their own personal circumstances and risk profile before investing. ...TKF’s digital validation tools have taken the stage and stand an excellent chance of capitalising on corporate anxiety and determination to improve due diligence measures.